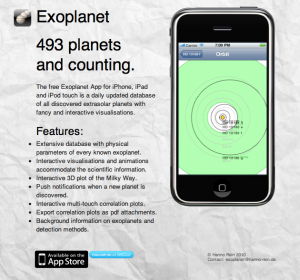 Today I made a new website for the exoplanet app for iPhone/iPad/iPod. More pictures and video will be added soon. Inspired by Stuart, I created this HR Diagram for exoplanet researchers. The position on the x-axis is determined by the number of peer reviewed paper, as given by ADS. The position on the y-axis is given by the number of website returned by google when searched for the full name in quotes. Of course, these numbers don’t necessarily mean anything. There are large errors if a person has a common name or alternative spellings. 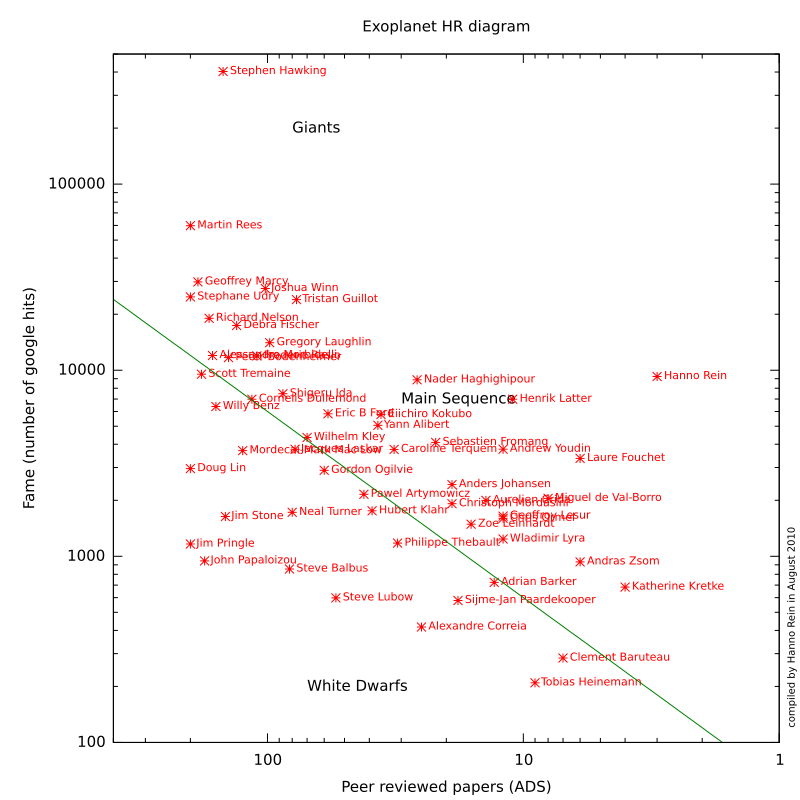 However, it’s interesting to see that there is indeed a correlation (which is labeled main sequence in the plot). Update: I’ve made an improved version in which the google searches include the words “exoplanet”, “astronomy” and “astrophysics”. The sum of the number of results is used in the plot. This should avoid most of the issues for people with common names. You can download the scripts to create these plots here and fine tune all parameters. If you feel that someone is missing from the list let me know and I’ll add him/her. If you’re unhappy with your score, please send me bribes in forms of cakes or iPhones. PS: Stephen, beware! I’m heading towards you! 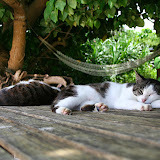 Here are some photos from Ishigaki and from Tokyo in Japan. This is a video of one of the simulations (EQ40050DT, to be precise). Make sure you watch it in HD if possible. It shows a three dimensional simulation of a small moonlet which is embedded in the rings. Due to collisions and gravitational interactions with ring particles, it will eventually undergo a random walk.